I have watched time and time again how the older generation of evangelicals interacts with the youth and young adults. I have seen parents supply the answers to their children before they even knew what the children were asking. It’s like the teens and young adults with questions and, gasp, doubts are laden with theological TNT that could demolish the whole enterprise of the Gospel. I see the appeal of the safety of evangelical Christianity for some, especially the churches and denominations that thrive within largely closed theological systems. Within the system and the community, you have the assurance of answers and practices that all work… as long as you stay within the system. Frankly, it doesn’t even matter if all of the answers are proven true because you’ve learned that they HAVE to be true. If the answers of your group don’t work, you’ve got nothing left—no community, hope for the future, and no way to explain how the world works. Teens and young adults are often caught in the bind between the simple answers of their communities and their honest questions. And don’t think for a moment that children can’t tell when they’re safe to ask questions and when they’re not. Having been that young teenager within the closed system of the Catholic Church, I knew exactly what was going on. When a priest met with me to “answer” my questions, I could immediately tell that he was fully confident in his ability to smash my answers into his tidy box of Catholic doctrine. There was no mystery, no humility, and no mercy for my dissatisfaction. Either I accepted his authority and his theological system, which was all presented as reasonable and fully true, or I was just being rebellious and sinful, rejecting my God-given spiritual leaders and the truth of the Bible. Is it any wonder that closed religious systems like conservative evangelicalism and Catholicism are both equally capable of creating mini inquisitions of their own? Their adherents learn that truly embracing what is taught and seriously practicing it will require them to at one point or another to stuff their questions and doubts down deep and to ensure that everyone else does the same. If you let someone else doubt or ask the hard questions, what will stop you from facing your own uncertainties and misgivings? What so many young people suspect and what so many religious leaders fear is this: our beliefs, practices, and institutions are deeply flawed and in error. Here’s what I suspect: We’re so flawed and in error that we don’t even know which parts are flawed and in error. We could spend the rest of our lives attacking the mistakes and hypocrisies of each other while defending the purities of our own traditions without realizing we’re really all in the same boat. Yes, if you’ve ever doubted what you’ve been taught in church, you’re not rebellious. You’re just being honest. Most importantly, you could even be on the right path. Not that we want to spend the rest of our lives doubting, asking questions, and deconstructing so that we never find anything. I assure you, Jesus said that those who seek will find, but he doesn’t guarantee what we’ll find. The problem is that those raised in closed religious systems think that these tiny little havens are the only places to find God. While God is most certainly within these systems in one way or another, there is a larger reality that is often obscured in the midst of the rule following and defenses of doctrinal territory. There is the bedrock certainty of God’s grace and mercy that roam free regardless of our systems and boundaries, his endless oceans of love for us, and his streams of life that promise us a different kind security. I have found that I don’t need to worry about defending doctrine or truth, I need to live in it. The simple answers and the doctrines we’ve learned had their place, but as many of us suspected, these were just scratching the surface. The difference then is whether you toss all pursuit of God aside or you take the risk of seeking God’s larger reality of presence, mercy, and love—truth isn’t opposed to these, but it can stop you from pursuing them. At one point or another your religious system will fail you, even if you don’t admit that it has failed you. I’ve been there, clinging to the fragile structure of theology, Bible study, a few seemingly spiritual experiences, and the hollow assurances of others around me. God’s love for me was strictly theoretical and largely wrapped up in the acceptance or rejection of those around me. If they could reject me because of what I said or believed, then God could do the same. If I was expendable to them, then it seemed like I was expendable to God. I am learning to surrender to the darkness and the silence. I have done so kicking and screaming, wanting to keep shouting praise songs, hoping I could think my way out of this vast unknown land, and trying to spark a light by reciting one scripture verse after another. Most days I feel like even less than a novice when it comes to the still small voice of God or the presence of God. For as little as I know and have experienced, it has been a true awakening to God’s mercy for me and for the religious leaders and their closed systems. I see the well-meaning spoon feeding teens and young adults simple answers and doctrines that they can take or leave but must take if they want to be accepted and loved. I see some slump over with indifference because deep down they know that they’re wasting their time. As soon as they can make their own decisions, they’ll most likely drop away from the faith because it never was their own. They never learned how to receive nourishment from God directly because their parents or church leaders feared that they may leave the faith if they start asking too many questions or let their doubts take root. I have seen the exact opposite among so many of my friends and colleagues. Once we stepped into the darkness and learned to make our faith our own, however imperfect it was, we found a God who is deeper and stronger than the simple answers and systems. Speaking for myself, I’ve found a presence and love that I can’t explain or quantify, and it can co-exist with my imperfect theology and the theological questions that hang in the wind without resolution. If I could say one thing to these teens and young adults who slump in the back rows of church today and hope to make their escape in the not too distant future, I would say that my faith never took root until I surrendered everything I thought I knew and learned to receive God’s mercy and love on God’s own terms. God’s love for you and for me doesn’t change if I rebel against the answers and systems we were told to accept. Jesus has already overcome the world. He alone is worthy to unlock the deepest secrets of eternity past and the mysteries that await us. Are you tired of lugging around these questions? Are you weary of hiding your doubts? Are you thirsting for God’s presence and life instead of demands for spiritual conformity? Jesus has a single word for you and for me: Come. There are no strings attached or limitations. Come to him with your reservations, disappointments, discouragement, and brokenness. He alone can give us rest and peace. After spending most of my life fearing that I wasn’t good enough for God or that my doubts were too much, I found that his love for me truly overcomes every barrier I could put in the way. When my faith hit rock bottom at the end of seminary, I became spiritually despondent. I also became very, very angry that the religious practices and beliefs I’d been given let me down. As I voiced my doubts and anger, I received some pretty strong pushback from evangelicals who had no tolerance for my doubts and felt personally attacked. On the other side of that time in my life, I can see with greater clarity some of the reasons why we struggled to show compassion to each other. How Do You Grow Spiritually? In evangelicalism, there generally isn’t very much language or conception of spiritual formation or practice. We have tended to focus on “saving” and then preserving the soul. You save your soul by making the proper profession of faith and then learning more biblical truth. You remain “in Christ” by safeguarding that truth. If you look at the broader Christian tradition that stretches back to the early church and desert fathers, there was a greater emphasis on solitude and prayer. This tradition had been preserved by the monastic tradition, and its influence has increased and decreased over the years. As the church grew in power and influence, it’s not surprising to see those spiritual practices decrease. 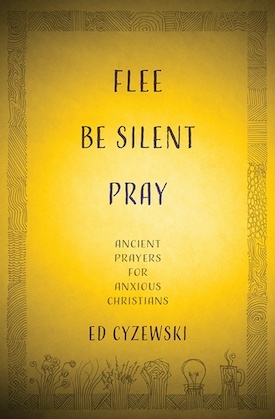 As our access to monastic and desert father writings has increased, we can read that the three words that drove their spirituality were: “Flee, be silent, and pray,” as Nouwen writes in The Way of the Heart. Most importantly for our discussion about doubt and compassion, Nouwen notes that solitude (the fleeing and being silent parts) grow compassion in us as we encounter the love and mercy of God. If we contrast the evangelical and the contemplative approaches to spirituality, we can see that one is focused on preservation while the other is focused on surrender. When I was trying to defend, preserve, or guard my spiritual life, I had little time or capacity for others unless they could help defend or teach the truth. The surrender of solitude has forced me to face my darkest thoughts, resentments, and failures. When I resist solitude, it’s often because I’m resisting these dark sides of my life. I can only find relief and freedom by surrendering to God’s mercy, and that makes it significantly easier to show mercy to others. Within the evangelical mindset, I learned to defend my faith from my own doubts and from those who would cast doubts on my faith. There was no room for failure. It was an all or nothing mindset. Without a more robust language of “spiritual practice” to provide an actual grounding for my faith, I had placed my confidence in study and orthodoxy. After immersing myself in study throughout my undergraduate and seminary years, while also going all in with everything the church asked of me, I saw just how fragile my faith had become, and I was angry. I had invested years of my life into the study of scripture and defending particular viewpoints of the Bible. When those defenses fell apart and I realized that I was still just as far from God as when I started out, I had a “burn it all down” mindset toward theology and the church systems I’d given so much of myself to. The hardest part of this is that the people in the systems of church and theology didn’t do anything malicious to me. They were just passing along the best things they could to me. We were all acting in good faith. We all also lacked the very practices that could cultivate compassion in us. We were both trained in systems that valued conformity and checking particular boxes. As I left the conservative system, I just replaced it with a more progressive one but maintained the same mindset that lacked compassion or any kind of meaningful spiritual practice. As I enter into completive prayer, I have to face my dark side and the only way out is to accept God’s mercy. I am finally seeing the evangelical subculture with more compassion and grace because I can see how badly we both need the same mercy from God. I still have my insecurities. I have plenty of rage for the evangelical captivity to politics and cultural influence. But I at least can detect when I’m moving toward an unhealthy place. 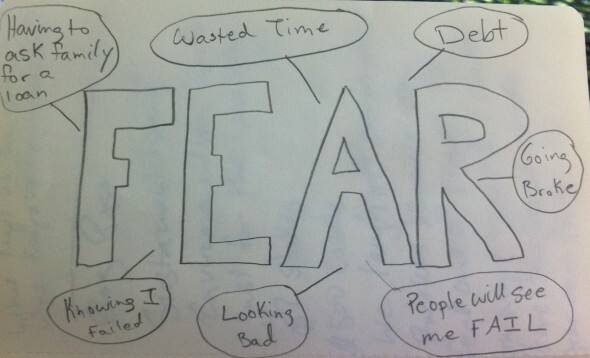 When I sense myself moving toward my unhealthy stress points of anxiety and fear (hello, enneagram 9’s! ), I now have spiritual practices I can turn toward with hope. Under the mercy of God, I have found the great equalizer of humanity, and that has helped me start to become kind to others, even the ones who would rather excommunicate me for my doubts. Every month or two, I take on a new book editing or author coaching project. It’s one of the most satisfying aspects of my freelancing work. Without fail, every author working on a first book is taken aback by the amount of work a book project calls for, but my latest client, Cindy Brandt, really impressed me with her determination and energy throughout the book writing and revising process. You reference that you’re a third culture kid. Explain what that means and how that shapes the way you think about following Jesus and the ways American culture may influence that. Third Culture Kid is an umbrella term to describe kids who grow up with the influence of more than one culture. Some classic examples of TCKs are missionary kids or military kids, whose parents may be from one country but they grow up in other countries. Often, they spend time in more than one culture within the span of their childhood. Although I was not an MK or a military kid, I fit into this category because of the significant influence of two distinct cultures in my life. 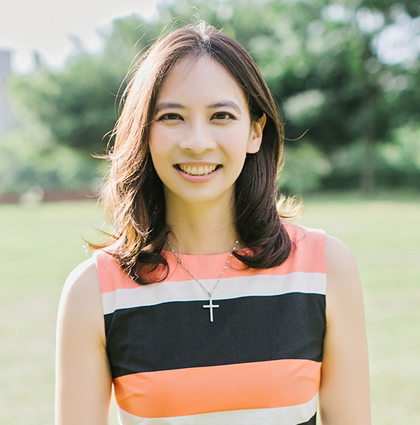 I am Taiwanese, but I was educated in an American Christian school for missionary children. I became a Christian as a child because of this school so my conversion and discipleship formation took place primarily through the lens of American Christianity. I think often Americans don’t realize how much their American culture shapes the way they practice their faith. When they transport their faith to other cultures, they often bring a lot of their American-ness to their converts. In my case, I internalized that being Christian meant acting like an American, and because I am in fact, not American, I often felt like I don’t belong to the Christian culture. However, more and more I am discovering that following Jesus has very little to do with belonging to Christian culture. On the contrary, I believe following Jesus means dismantling the walls that are erected to determine who is in and who is outside of Christian culture. My hope is that the book, Outside In, serves as a call to tear down some of these walls so more people can be included in the community of Christ followers. How did your experiences as a third culture kid influence your desire to blog and work on this book project? In the beginning of my blogging days, I actually wrote more frequently on the experiences of being a TCK and found many TCK readers who resonated with those posts. However, most TCK blog readers would generally not identify as Christians so the blog would have fit in a totally different niche than mine is right now. Because my faith is so important to me, I decided I want to be a voice to my people within the church, so I’ve been focused on blogging about faith. I hope my experiences as a TCK and my geographical location outside of America, can bring a unique angle to the conversation. My book is not specifically for TCKs but speaks to the broader ideas of how to include people in the church. But I think the reason I pay attention to these perspectives is because as a TCK, I do not fit neatly into any category. As an outlier myself, my ears perk up to the stories of other outliers. You talk about 10 different types of people the church may have overlooked in your book, but are there one or two groups in particular who really stood out and prompted you to begin writing this book? You know, I am very drawn to stories of suffering. I was one of those kids where if my friends got hurt with an injury I would be the one crying! The chapters on grieving and depression both come from empathizing with painfully personal stories of loved ones in my life, and I felt most compelled to use my writing voice to amplify their stories. Of the ten overlooked outsiders, which do you personally identify with the most and why? I am the doubter. I speak quite openly about my story and struggle with doubt in the book. I speak on behalf of others in most of the chapters but the doubting chapter was my own story. A second top contender would be the person who is too busy. I have a type-A personality and over commitment is my middle name. That chapter was difficult to write because I talk about slowing down and being more present, knowing how hard it would be for me to follow my own advice. At the end of my book I say there are endless chapters to be written for it. There is always room in the world for one more unique story and one more perspective. 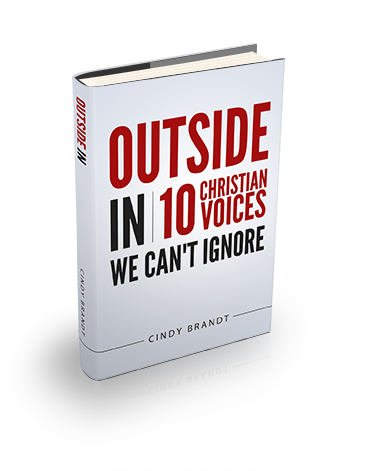 I think it would be a fun project to add bonus chapters to Outside In and highlight more Christian Voices We Can’t Ignore. I also have some ideas swirling in my head on the subject of how to be in relationship with people who are very different from us. In a way it would be a follow up to Outside In. After we have embraced outsiders, how then do we exist in community with a diversity of people? How can readers find out more about this book and your writing? You can click here to find more information about Outside In. I would encourage people to sign up for my newsletter for future writing updates. You can also find me on Facebook, Twitter, and Instagram. Learn more about my book editing, author coaching, and website content services. It’s bath time for our son Ethan. I’ve taken over most nights this summer during the final weeks of my wife’s pregnancy. He’s splashing in the tub without a care in the world, tossing his tugboat out of the tub along with the bird-shaped water scoop. He’s been a one-toy guy lately, focusing on a bottle that fills up with water, shooting a stream of bubbles to the surface. I gather his pajamas, toothbrush, and towel while he chirps and splashes. Most nights I just sit next to him while he plays. We’re both at peace as the day nears its end. I’m often soaking wet by the end of the bath thanks to his splashing and the exertion of scrubbing him, wrangling him with his towel, and dressing him. He knows the routine, and doesn’t need much prompting to charge into his room for his lovey, plopping onto his bed, and waiting for my wife to join us for a few books. Read the rest at A Deeper Story. That night I met a young woman at an inner city church dramatically changed the way I think about faith and doubt. She had huge misgivings and questions about God and the Bible. She felt like the church hadn’t been a friendly place to deal with them. She’d even been spiritually abused by leaders who used the Bible as a weapon. She had every reason in the world to walk away from her faith. Yet, she held on, served among the poor, and kept showing up each Sunday. The more we talked, the more I wanted to tell her that there are some reasonable explanations for her doubts. She didn’t have to continue on with her faith hanging on by a thread. Couldn’t there be a place to honestly think through the tough questions we face? Can’t we do better? I started thinking through the topics that she found troubling and then moved on to the topics that have been threats to my own faith over the years. It’s been a good five years of thinking, questioning, and even doubting. The product of that season of inquiry is my new book, A Christian Survival Guide: A Lifeline to Faith and Growth. DISCOUNTED EBOOK DETAILS: A Christian Survival Guide is available in print or as an eBook, with the eBook priced at $9.99. The Good News of Revelation and Hazardous (a book about making the risky decisions that result from following Jesus), are both $2.99 at Amazon. Unfollowers is $4.99 at my publisher’s website. Scroll down for the links. Offer ends August 1st! After you’re done reading A Christian Survival Guide, I’d love for you to share what you think in a brief review. Purchase from the publisher for $4.99.